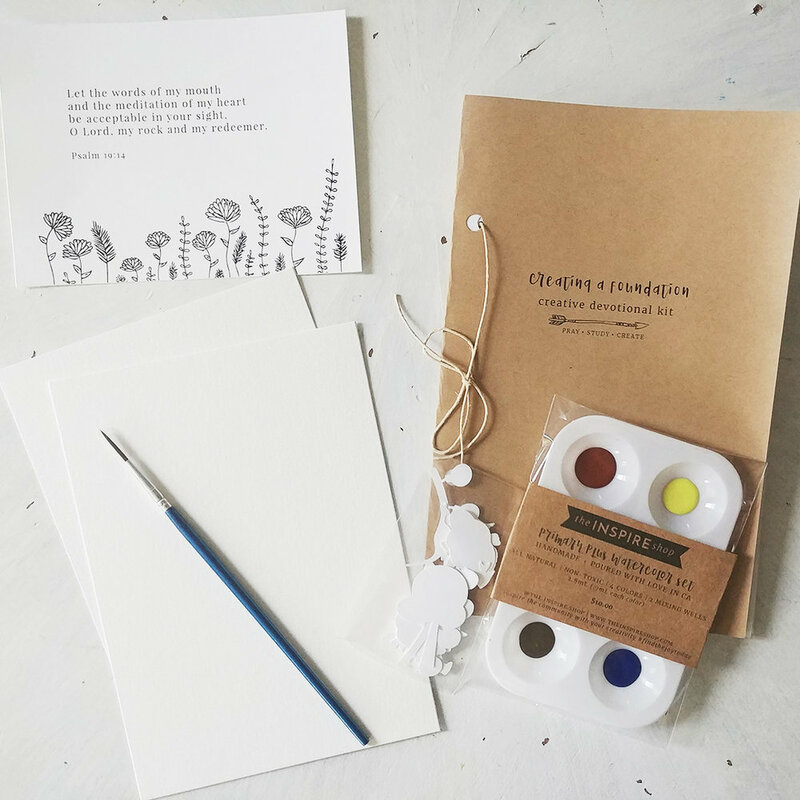 In our fourth and final week of our Creating a Foundation creative devotional kit, we discuss the process of being transformed by the power of the Holy Spirit. It takes time and being in God's word for the Spirit to work in our hearts and minds. It is a lifetime of learning and growing and trusting God. 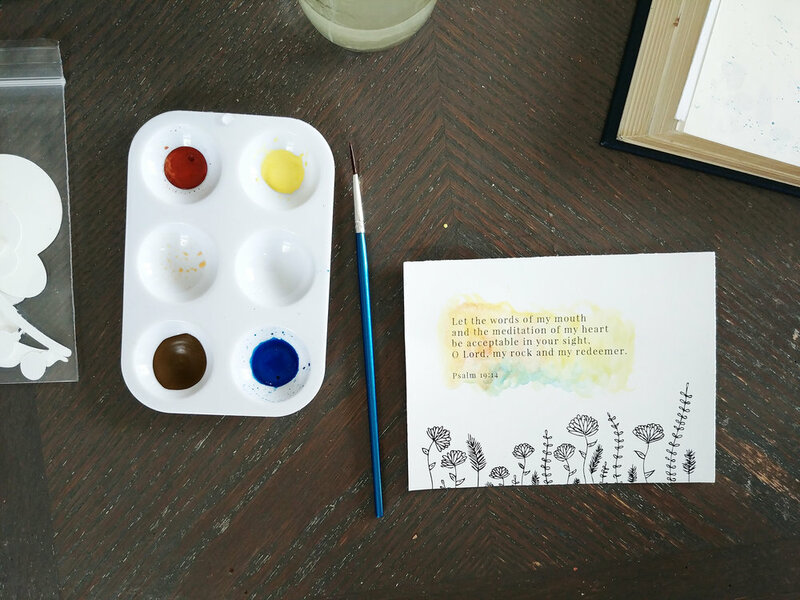 For this weeks CREATE IT, I used the prayer verse art print for Psalm 19 and the watercolors. As we talk about being transformed by the Spirit, it seemed fit to highlight our prayer verse, Psalm 19:14 - a prayer for the words of our months and meditations of our hearts would be acceptable in God's sight. 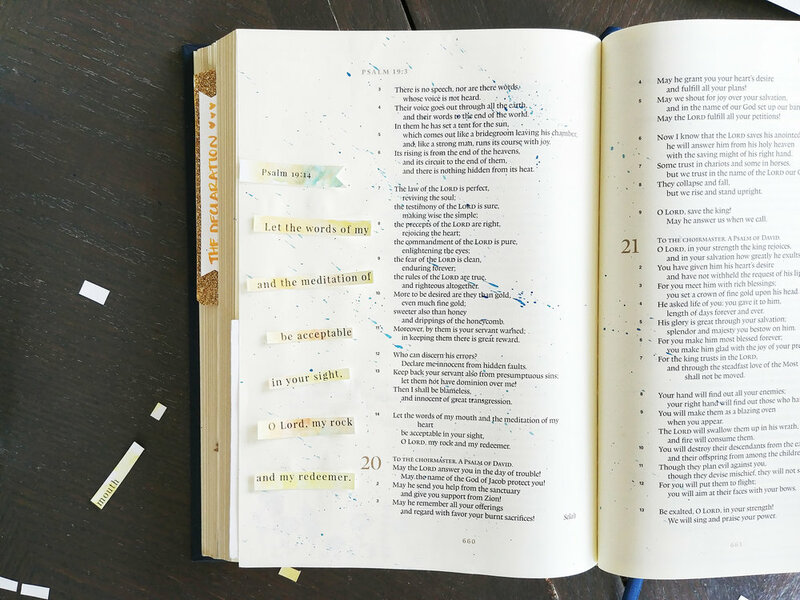 I used the art print from the kit to make a bible journal page for it. The flowers at the bottom were used as a template to trace them on to the bottom my bible page and then watercolor over. Simply water coloring, cutting and pasting it together.